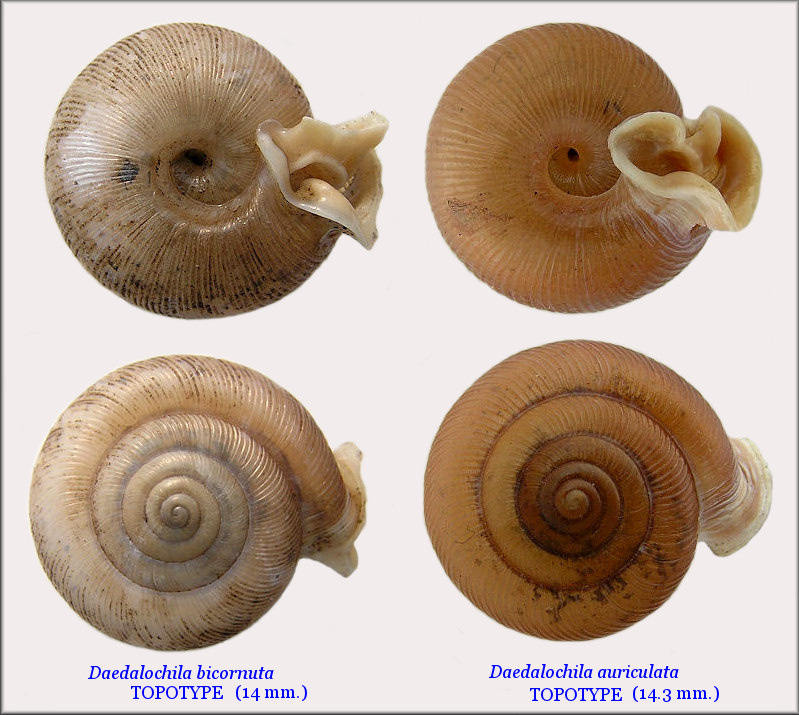 Below is a side by side comparison of topotype specimens of Daedalochila bicornuta and D. auriculata. At first glance the two species appear to be very similar in both appearance and size. However, as the image below illustrates, they can be easily separated. The map below shows the distribution of Daedalochila bicornuta (gray) and D. auriculata (brown, gray) based on recent field records plus revised museum and published data. Although their ranges overlap in six counties, there is only one record of Daedalochila bicornuta and D. auriculata having been collected together: UF 360312 - Panacoochee Retreats, Junction Lake Panasoffkee Outlet River and Route 470, Sumter County. J. Slapcinsky! 1/24/2005. This lot was found to contain four specimens of the former and one of the latter. These identifications were made by H. G. Lee and J. Slapcinsky on 6/9/2010.